When people watch runners, this is what they think of. But to go farther for longer, the best runners need at least some form of weight-lifting and strength-training. That’s why we offer these intense kettlebell workouts. 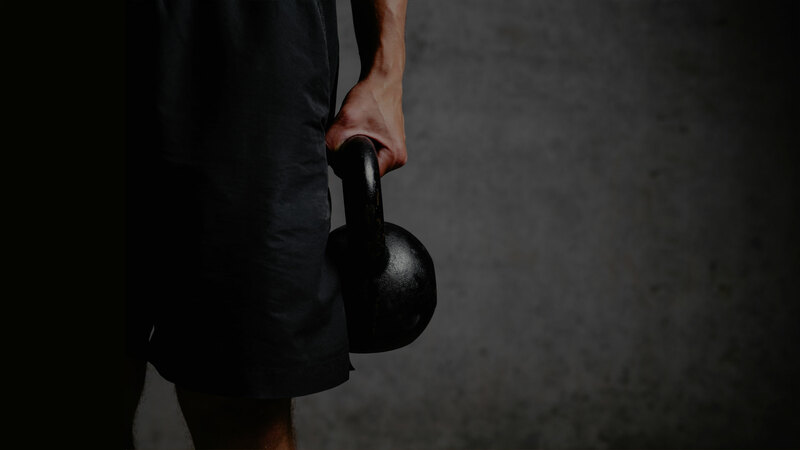 For runners who want to win more medals, it’s time to start regular training with the kettlebell. Running builds predictable muscle imbalance in runners. This imbalance will eventually lead to injuries and slower times. We’ve seen it time and again: without strength training to offset these imbalances, most runners find themselves needing to do an insane amount of work to keep up. Off setting the most common muscle imbalances can be a guessing game for most runners. It also includes tedious drives to the gym. Unhelpful aerobics videos are also part of the problem as most videos introduce harmful exercises that are 0% geared towards runners. Get more done safely with a kettlebell workout. For runners looking to make sure they have strong, balanced muscle groups, there are so many reasons to use a kettlebell. Running depends on form and posture. A runner-specific kettlebell program can certainly help. Most workouts for runners have zero effect on your upper body and core. A runner-specific kettle program can help tackle your dangerously weak hips. It’s no secret, there are the positive overall effects of strength training. While stretching and weight-lifting are important, there’s nothing quite as satisfying or as powerful as a kettlebell workout! Drive up your endurance so that you can show up to the race ready. We do way more than just bicep curls and swings in our kettlebell workouts. For runners hoping to stay injury-free in their next training cycle and race, we’ve included a whole assortment of moves specifically focused on running. Power lunges and spins and numerous other forward-movement-related motions have been incorporated into our carefully designed kettlebell training workouts. We at RunSmart Online are a team of physical therapists who work with runners every day; we live, breathe, and sleep running, and we think that your weight training should focus on the muscle groups that you need to work on. Sweat through 25 to 30 minutes of power moves in each and every kettlebell workout. For runners at an intermediate or advanced level, the results will show when you start setting new PRs with our six-week plan of kettlebell training. For runners who are beginners, you’ll be amazed at how quickly you pump up your endurance! We offer 12 intense sessions, clocking in at about six hours of streaming content. We recommend incorporating this into your running schedule once or twice per week, depending on your program. When you sign up for an online membership, you can gain access to hours of workouts, all of which can be streamed anywhere you have Internet access! All you need is a kettlebell, your smartphone or tablet, and some time to get to work. Our online program includes this training plan as well as our running form improvement program. To get better, faster, and stronger, we recommend this power-building program. Sign up for a two-week free trial now!